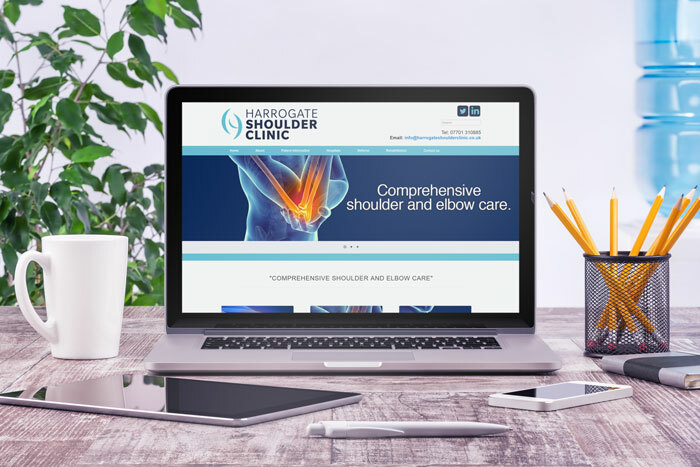 A leading NHS Surgeon Charlie Talbot was recommended to Gemini when he wanted a website for his private shoulder surgery practice. Built in WordPress with simple to read navigation and page layout it also has a secure log in feature for patient document downloads which both gives him vital information he needs quickly as well as saving both him and his patients a great deal of time waiting for post to arrive, as once was the practice. As Charlie said afterwards, “Steve really made producing a website an enjoyable experience, guiding me through the whole process, listening to my needs and translating that into a really well produced and functioning site”. As a result of our efforts he recommended us to a colleague of his John Simpson who runs Harrogate General Surgery who we’ve also built a site for.